The windshield is one of the key safety features of a vehicle. It provides protection from flying debris, dust and heat. Debris, small rocks and the like tossed onto your auto glass by the automobiles ahead can result in cracks or chips. You can prevent major damage with timely repair. However, if small chips or crack are ignored, they can quickly grow and spread across the windshield leaving you with no option but to replace it. Driving a vehicle with a damaged windshield can put you, as well as your loved ones, at risk. If you are looking for a quality, yet affordable windshield chip repair service, Lake Travis Mobile Glass is a great option. Our expert team has many years of experience in repair and replacement of windshields and windows on all types of vehicles. 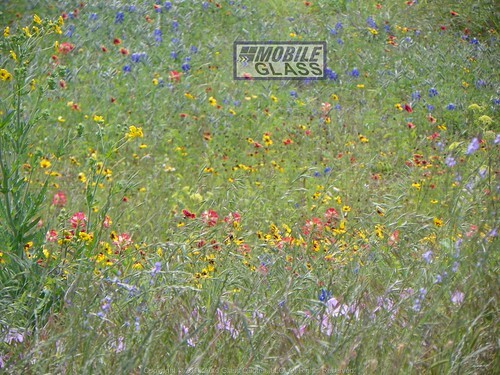 At Lake Travis Mobile Glass we use top-of-the-line glass (OEM and aftermarket) to ensure the best possible results. We have a worldwide network of suppliers. Auto parts are sourced from these suppliers and stored at local warehouses. This ensures that we have quick access to all kinds of auto parts, standard as well as unusual. Regardless of the make and model of your car, at Mobile Glass you can be sure of finding just what you need. We believe in developing long-term relationships with our customers and work towards it by offering 100% satisfaction guarantee on all our services. Driving with a damaged windscreen is not just inconvenient, but downright dangerous. Chips or cracks can significantly reduce visibility and put you, as well as passengers and others on the road, at risk. We understand this and to prevent it, we provide mobile auto glass repair service. This means that you do not need to drive your car to us for windshield replacement or repair. All you need to do is give us a call and our technicians will come to your vehicle—wherever it is. The cost of Volente mobile auto glass replacement or repair is same as that charged by others for in-shop service. Call us to find out why Lake Travis Mobile Glass is the first choice for most Volente, Texas residents when it comes to auto glass solutions.